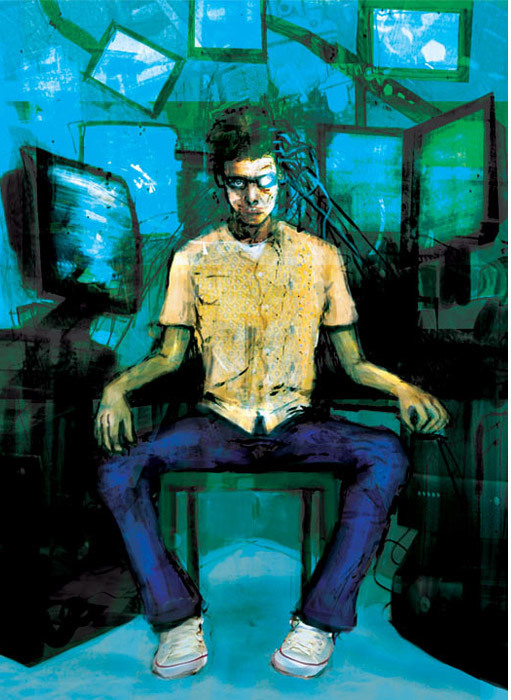 Background: A nerdy recluse, obsessed with technology and conspiracy theory, Darren spent most of his time trolling the deep web in a superhero persona and launching covert cyber attacks before eventually being targeted by the the secret government. While on a trip to Washington with his folks, a suspicious domestic terrorist attack bombed the area of their tour bus, killing the passengers, Darren's parents among them. 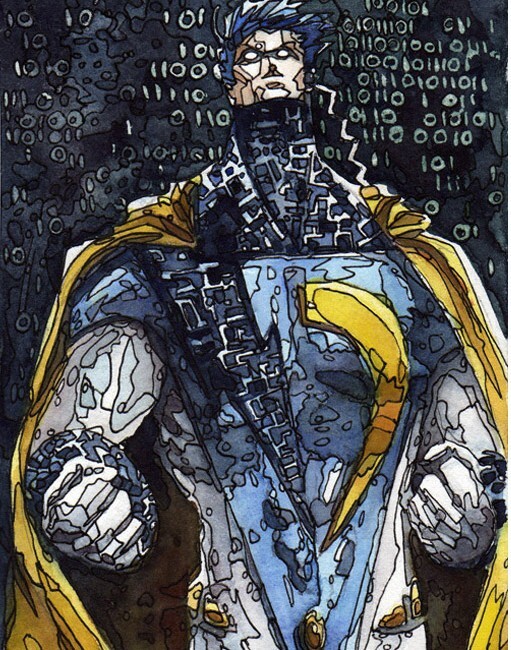 During the chaos, Darren was abducted by the criminal organization, TALON, and cybernetically enhanced to serve them. Believed dead, and his parents deceased, no one questioned his whereabouts. After quickly mastering his new abilities, Darren stole files documenting Talon's activities and experiments, and attempted to erase his trail, heading back to New York. 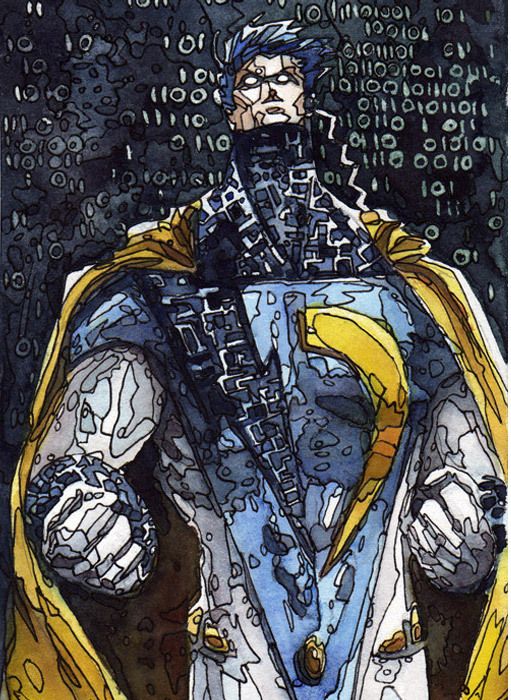 Powers: A portion of Decker's frontal lobe has been replaced with a processing unit he uses to connect to the deep web. 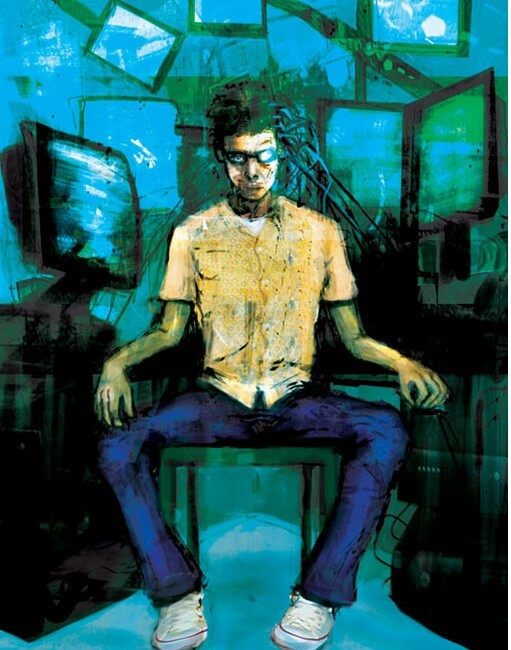 Once online Decker can send his mind into cyberspace where he assumes the persona of a superhero while hacking.